Calling Team Captains, Walkers, Sponsors, and Anyone Who Wants to Help Make the 2019 Unite for Bleeding Disorders Walk Even Better Than Last Year! Celebrating the Start of the 2019 Walk Season! 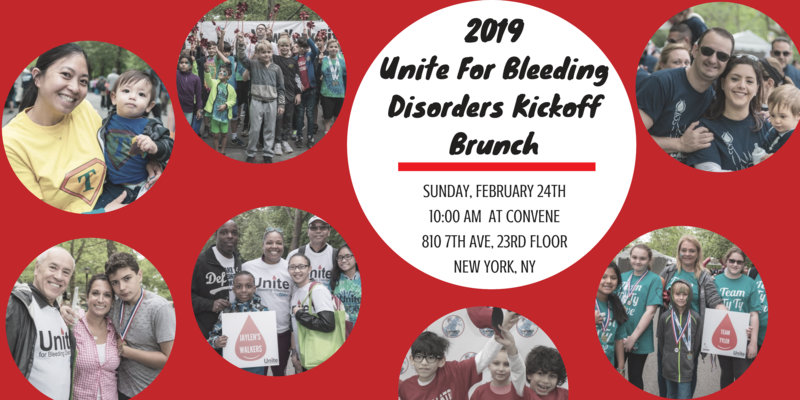 Join Us for a morning of food, friends, and fun as we prepare for our 2019 Unite for Bleeding Disorders Walk (the Walk is June 2nd in Riverside Park)! There is no cost for this event which is intended for families and individuals who are organizing teams for the New York City Hemophilia Walk. However, advanced reservations and tickets are required. Ready to start fundraising now? The Walk web page is now live!